A fundamental principle at Goodwill of South Central WI is that everyone can work. 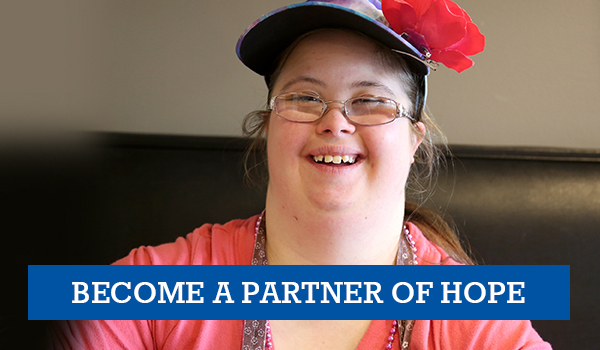 Goodwill SCWI works with individuals whose disabilities create significant barriers to employment. Each participant is carefully interviewed and assessed before being partnered with a local employer. The employer’s regular training and supervision is supplemented by Goodwill staff — at no cost to the employer — with ongoing support and coaching from certified staff. The employment options for supported individuals are varied and developed in partnership with employers. Employees may work anywhere from one to 40 hours per week. All employees earn minimum wage or higher. Supported Employment helps local employers save recruitment and training costs, reduce turnover (average job retention for SE participants is more than 8 years), expand and diversify their workforce and find the enthusiastic workers they are looking for. In turn, employers help individuals with disabilities attain their goals of greater independence. Individuals are currently referred to Goodwill by the Dane County Developmental Disabilities Unit within the Human Services Department and the Wisconsin Division of Vocational Rehabilitation. If you are interested in learning more about our Supported Employment services or would like to employ an individual through our program, please contact our Program Manager, Susan Kozar (e-mail or call 608-246-3140, ext. 176).